Be a part of our beautiful theatre. We are now very pleased to be offering you the chance to dedicate a seat within our historic auditorium. Your name, the name of a loved one or a special message could adorn a seat in our incredible Theatre for up to 5 years! 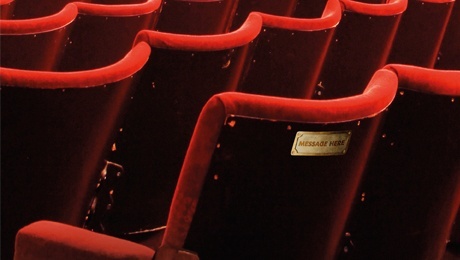 Package includes an engraved plaque installed onto theatre seat of your choice and a personalised certificate. With 1, 2 or 5 years available, a seat dedication an incredible opportunity for any theatre lover or the perfect gift idea for a special occasion.